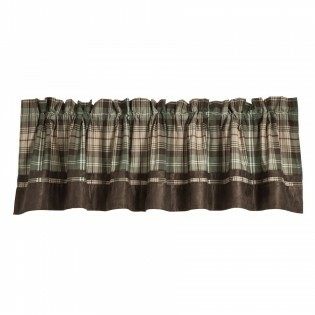 Huntsman collection features subtle brown and cream plaids with hints of green and burgundy. The Huntsman plaid pattern is easily paired with many of the other bedding sets in the lodge, hunting or western collections. Gathered top header and rod pocket for easy installation. 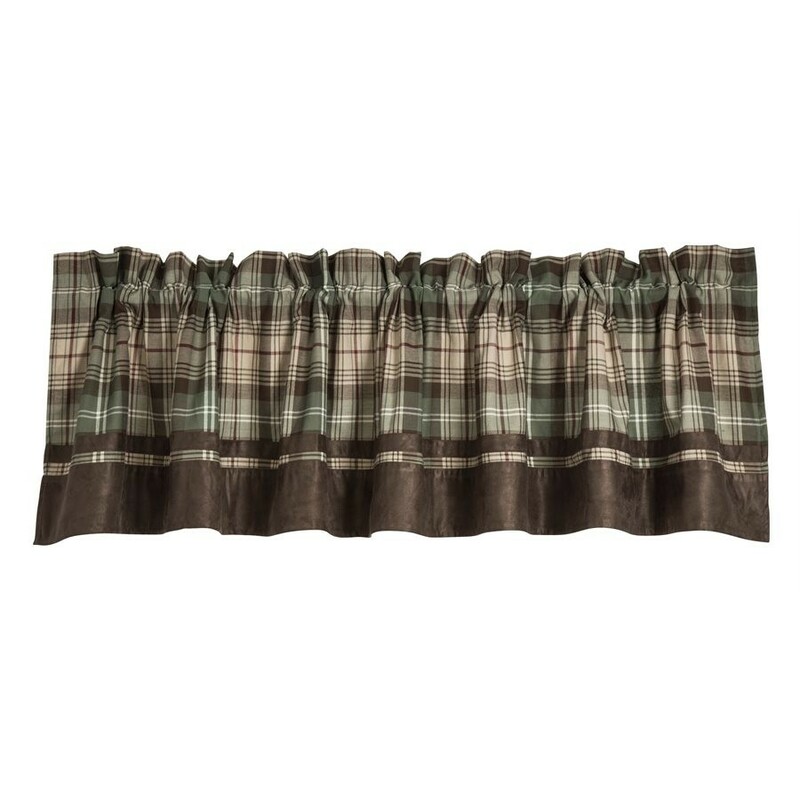 Valance measures 18" X 84". Dry clean recommended. 65% polyester/35% cotton.